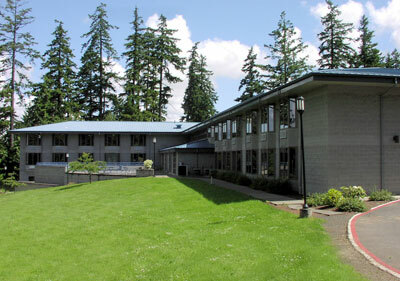 Prewitt and Van Gilder Hall (fondly nicknamed “PVG”) is split into one men’s hall and one women’s hall on gender-specific floors. Some of Prewitt and Van Gilder Hall’s facilities include community bathrooms, a massive community space for its residents to enjoy, a full kitchen, two quiet study rooms, and a movie room. Prewitt Hall is home to nearly 135 women and is named for Mildred Prewitt-a lifelong supporter of the University. Van Gilder Hall is home to about 40 men and is named for Dr. H. O. Van Gilder, the University’s second president.